The Witness is just like you and me. The Witness tumbles down the stairs. down a shot of vodka, a snort or two. In other words, he could be you. around you was very very tall. they keep him under observation. he can’t seem to make the images stop. Prior to writing fiction and poetry, Kelly Fordon worked at the NPR member station in Detroit and for National Geographic magazine. Her fiction, poetry and book reviews have appeared in The Boston Review, The Florida Review, Flashquake, The Kenyon Review (KRO), The Montreal Review, Rattle, Red Wheelbarrow, The Windsor Review and various other journals. She is the author of three poetry chapbooks, On The Street Where We Live, which won the 2011 Standing Rock Chapbook Contest, Tell Me When it Starts to Hurt, which was published by Kattywompus Press in May 2013 and The Witness, released by Kattywompus Press in January 2016. Her short story collection, Garden for the Blind, was published by Wayne State University Press in April 2015 and has been chosen as a Michigan Notable Book. She works for the Inside Out Literary Arts in Detroit as a writer-in-residence. Interview conducted by Nancy Chen Long. Please tell us a little bit about The Witness. KF: This book was written in response to my personal experiences as well as the 10,000 pages of testimony provided by survivor’s of sexual abuse at the SNAP network (http://www.snapnetwork.org/) , as well as the Center for Constitutional Rights (http://www.ccrjustice.org/category/project/snap). As the title suggests, these poems, written in response to the testimony of those abused by Catholic priests, bear a lyrical witness. Please tell us a bit about your process of creating poetry out of another person’s story or testimony. In her essay “Reading the Living Archives: The Witness of Literary Art” (Poetry, May 2011), Carolyn Forché wrote “In the poetry of witness, the poem makes present to us the experience of the other, the poem is the experience, rather than a symbolic representation.” Is that the case for you? KF: Generally speaking I would think twice about co-opting another person’s experience, even if I felt I was doing it with the best intentions. In this case, I am very close to the material because I was raised in the Catholic Church and I was an altar girl. 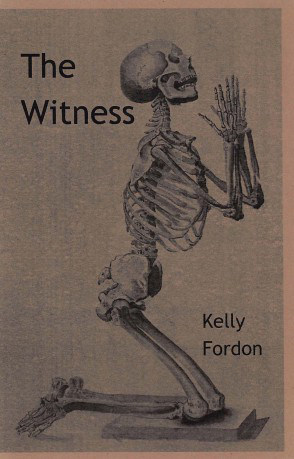 However, this chapbook is not about “me” in particular or my personal experiences, and I don’t want my personal experiences to cloud anyone’s reading of this work. Anyone who wants to read about the genesis for these poems should refer to the snapnetwork.org website and the Center for Constitutional Rights website. Did you find the above true for you? Please tell us a bit about voice and persona in your poems. KF: I wrote an earlier chapbook called On the Street Where We Live which includes persona poems in the voices of imagined women on “my” street. They were not, in reality, the women I knew, but an amalgamation of all of our experiences—divorce, abuse, loss, career aspirations, motherhood, etc. In those poems I had the sense that I was writing someone else’s story and trying to ascertain what it felt like to be going through the experience of domestic abuse or estrangement etc. If I had been writing the poems with my poet hat on I would have looked for different images, but it is true to this witness that the white robe and the penitent’s belt come up over and over again. The witness is obsessed and the repetition is organic to the voice. What difficulties or challenges did you encounter in writing some of the poems? Have you given a public reading of the work? What was the audience response? Did you encounter anything you were not expecting? KF: I have not had a problem publishing the poems. Both William Slaughter at Mudlark and Sammy Greenspan at Kattywompus Press have been very supportive. I have only read the poems once at a conference in Windsor. Several people who were affected by the scandal came up to me afterwards, including Mary Ann Mulhern, a former nun and poet, who published When Angels Weep, a poetry collection about the Father Charles Sylvester sexual-abuse case in Canada. That being said, I feel tentative about presenting this work in public and if/when I do readings, I always begin with a content warning in order to allow people to leave the room if they need to—it can be very hard to hear. It’s also difficult to broach this material with my Catholic friends and family some of whom may see these poems as an attack on the church. There’s nothing I can do about that, unfortunately. What is one of your favorite poems in the book, or one that is important to you? Why is it a favorite (or important)? How did it come to be? KF: I like "The Victim’s Testimony." It’s one of the more graphic poems, but it illustrates how I feel about the whole debacle—angry, frustrated, violated, and dismissed. The image of the filing cabinet door closing on all of the 10,000 pages of victim testimony (some estimates are now at over 100,000 victims worldwide) felt like an apt metaphor. I’m stuck in this file cabinet. Who wants to finger me? My words are onion paper thin. and I scream like Asmodeus. that day to remind us of our sins. I use more than any other. Please discuss the choice for a chapbook. For example, why did you choose the chapbook as the vehicle for your poems rather than a book-length manuscript or a section in a book? When you started, did you intend to create a chapbook? How long did it take to write this chapbook (or, alternatively, how did you know it was time to stop writing)? KF: I wrote these poems in a very short period of time when I was immersed in reading the SNAP testimony. When I was finished, I had around twenty poems. I have published with Kattywompus before and so I naturally sent the work to Sammy. She said yes right away and I was happy they found a home and an advocate. I am still working on the full-length collection, but I have had to take some breaks along the way because the material is hard to face day in and day out. There have been periods when I can’t do it and then I come back to it a month or two later. What else would you like readers to know about you or your chapbook? KF: I would like the survivors who have given testimony to know that they have made a real difference in people’s lives. I for one, will keep advocating. The film Spotlight highlights how many people were complicit in the cover-up—no one wanted to challenge the Catholic Church, even though there were children’s lives at stake. How scary is that? Hopefully now people realize silence is reprehensible. 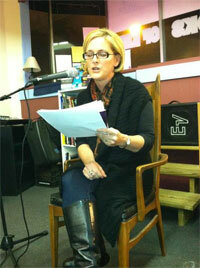 KF: I’m working on a full-length poetry collection and a novel. Nancy Chen Long is a National Endowment of the Arts creative-writing fellow and author of Light Into Bodies (Tampa University Press, 2017), which won the Tampa Review Prize for Poetry. You'll find her recent and forthcoming work in Third Coast, The Adroit Journal, Third Coast, The Southern Review, Valparaiso Poetry Review, Ninth Letter, Alaska Quarterly Review, Pleiades, and elsewhere. She works at Indiana University in the Research Technologies division.